Ukrainian Illya Marchenko, who plays under coach Tibor Toth in LOVE 4 TENNIS Academy in Bratislava reached the semi-finals of Peugeot Slovak Open challenger, where he was beaten by Lukas Lacko. Marchenko first beat experienced Czech Stepanek, former APT World Number 8 after three sets 4-6, 6-4, 6-3 in the quarter-finals. “I played my best tennis today. I was surprised myself, how I played, but it was equal match. Radek is great player, one is always nervous when plays against someone of his rank. I had the feeling I am better player already in the first set. I am happy the way I came back in the second set, when I stayed calm and fought for every point. I grabbed the chance to take the set,” explained Marchenko. “I played with him before, I took my lesson. Last time, he totally demolished me. He played from the back, I tried to beat him from the baseline, but it did not work at all. Today I was more prepared for his game, I wanted to stay in move, force him to run a lot but he did not come to the net, because I was able to beat him form the baseline,” added satisfied semi-finalist. Against Lacko in the semi-final, the match was of great quality, however in the end home player took the win. “Marchenko is in great form at the end of the year, level of the match was incredible. It is a pity that I threw away 4-2 lead in the third set. Tie break was more or less about luck. Towards the end my opponent was more nervous than me. 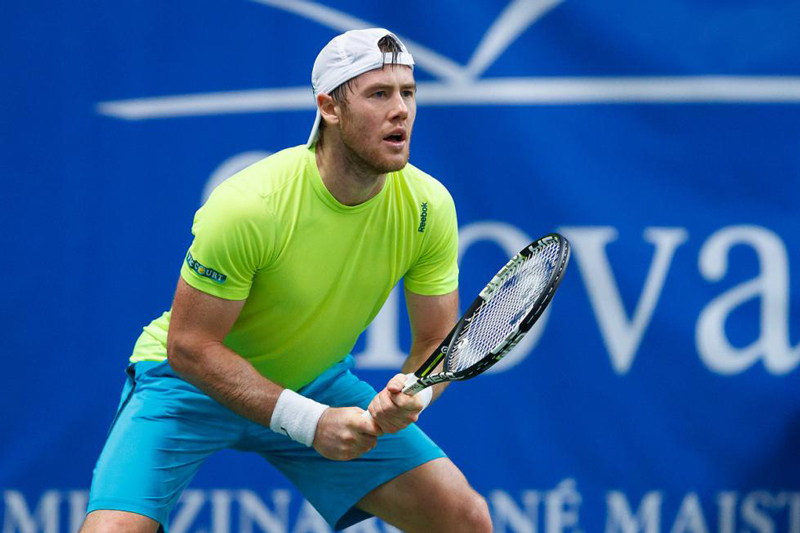 This match was more about keeping the mental strength in the crucial points,” said Lacko for TennisSlovakOpen.sk. Marchenko will receive 4620 eur for reaching the semi and 40 points to the ATP rankings. Now he travels to Brescia.